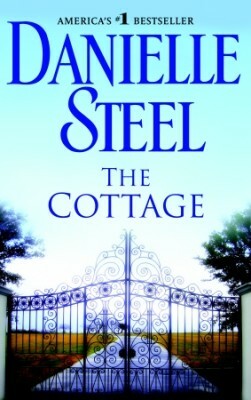 In her fifty-fourth bestselling novel, Danielle Steel weaves a compelling story of fame and friendship, charmed lives and private struggles…and of three very different men whose lives converge and collide at The Cottage. But amid all the noise and the chaos, something unexpected is happening. Three men who never would have met are becoming friends…and each man finds himself changing in surprising ways, Coop most of all. Because beneath the dazzle and flash, the impeccably tailored suits and the sheer bravado, is a man trying to keep control of his carefully ordered world–a world that is becoming more and more unpredictable with each passing day. First, a tabloid scandal erupts, threatening Coop’s budding romance with a wealthy debutante….A stranger approaches Coop with stunning news….A devastating accident almost claims the life of one of the housemates….And in the midst of it all, The Cottage welcomes a new houseguest with a secret of her own, who will change Coop’s life in unexpected ways. Because among the people who share his cottage and his life, Coop Winslow– loner, bachelor, movie star–may find the rarest of all opportunities: a chance to build a happiness he could never have dreamed of on his own, and to become the kind of human being he has never been. Against a glittering backdrop of celebrity and glamour, Danielle Steel digs deeper to tell a story of friendship and love, tragedy and second chances…of the choices and unexpected turns of fate that can shape characters and lives.